Milan is the largest city in northern Italy and the second largest overall after Rome. Milan is the capital of Lombardy, the region which is home to about one in six Italians and consistently has been the dynamo of the Italian economy. 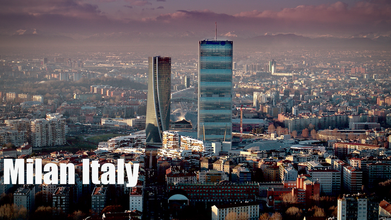 While Rome is Italy's political and cultural capital, Milan is its business annd financial capital. Electriclife treats us to this stunning aerial overview of Milano, including footage of La Scala di Milano, the Unicredit Tower, Citylife Milano, and more.